The Technology Package brings you lots of great updated design features, including a front passenger’s 8-way power seat, Sport seats with perforated Milano premium leather-trimmed interior, and more. The Advance Package adds even more design features, such as LED fog lights, 18″ machine-finished aluminum alloy wheels, heated and ventilated front seats, and more. 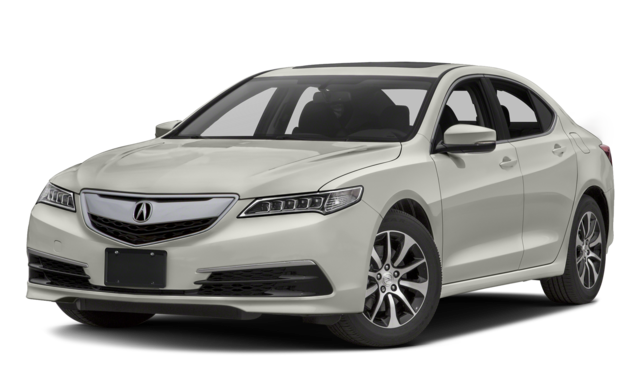 And of course, both share many of the high quality design features that all 2016 Acura TLX models have, including Jewel Eye LED headlights, acoustic glass windshield, heated front seats, a leather-wrapped steering wheel, and more. 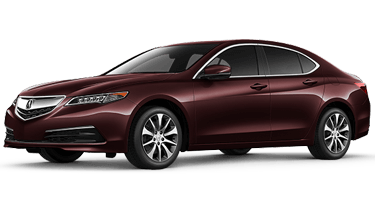 When the 2016 Acura TLX is paired with the Advance Package, it comes with a 3.5-liter V6 engine that generates 290 horsepower and is coupled with 9-speed automatic transmission with Sequential SportShift paddle shifters; the Technology Package is available with either this engine or a 2.4-liter I4 engine that generates 206 horsepower and comes paired with 8-speed dual-clutch transmission with torque converter and Sequential SportShift paddle shifters. Both come with electric power-assisted rack-and-pinion steering, 4-wheel disc brakes, 4-wheel independent MacPherson strut front/multi-link rear suspension, and many more high quality features. When it comes to technology, the 2016 Acura TLX Technology Package adds many upgraded features: GPS-linked climate control and rain-sensing windshield wipers help match the vehicle’s response to current conditions, and the Acura/ELS Studio premium audio system with hard disk drive media storage and 10 speakers, Song By Voice, and HD Radio let you enjoy your music. In addition, the Technology Package adds technological features that help keep you safe, like Acura Navigation System with 3D view, AcuraLink Real-Time Traffic with exclusive street and freeway conditions, Traffic Rerouting, forward collision warning, lane keeping assist system, lane departure warning, blind-spot information system, and rear cross-traffic monitor. The Advance Package adds a few extra safety and convenience features, like a remote engine start (with vehicle feedback), adaptive cruise control, front and rear parking sensors, auto-dimming side mirrors, a front seatbelt e-pretensioner system, collision mitigation braking system, and road departure mitigation system. Continental Acura, serving Chicago and Downers Grove, is the place to go when you’re looking for a new Acura. Our salespeople will be happy to help you find the vehicle that’s right for you from our selection of new Acura vehicles, used vehicles, and Acura Certified Pre-Owned vehicles. But that’s far from all we offer; we’re also home to a state of the art service center, as well as a parts store that we keep stocked with genuine Acura parts and accessories (perfect for the do-it-yourself enthusiast). We’re located at 2275 Aurora Avenue, Naperville, IL 60540, and we proudly serve Aurora, Geneva, and beyond. If you’d like to schedule a test drive, you can give us a call at (866) 999-7916; then, come by Continental Acura. We look forward to seeing you!